I love pizza. I didn’t always love it. But somewhere along the way I fell for a good slice covered in red sauce and mozzarella cheese. When I’m trying to be “healthy” I usually try not to eat pizza. But hey, I’m Italian – it’s in my blood, I have to have some pizza every now and then (or so I like to think). I took a nutrition course recently, and through it I realized there are healthier ways to have your cake and eat it too (pun intended!). Cooking at home is almost always easier to watch what you’re eating than when you eat out because you see everything that goes into it. 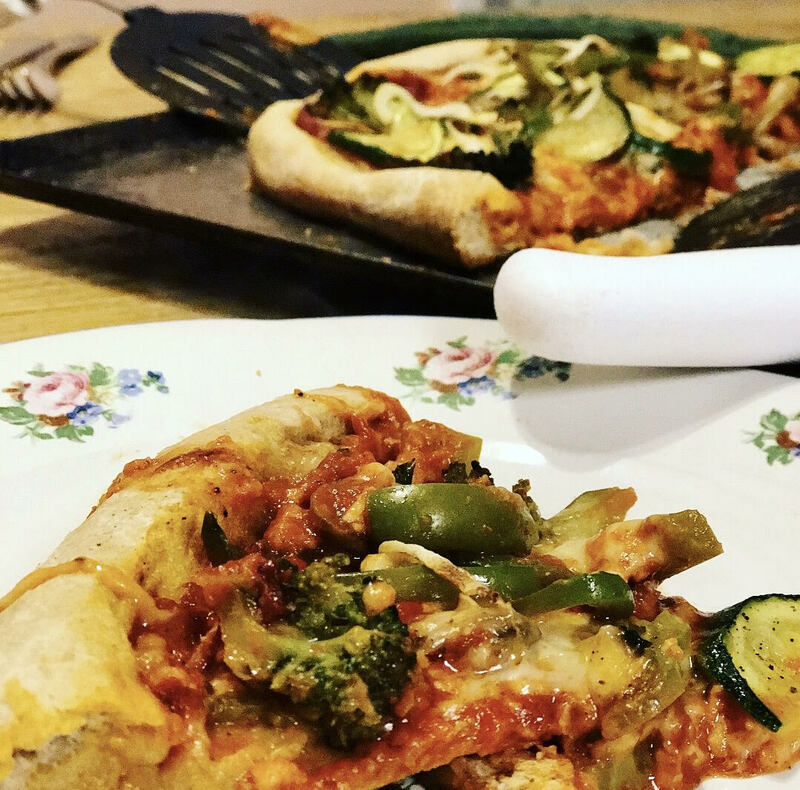 Recently, I’ve started experimenting with cooking different pizza recipes. 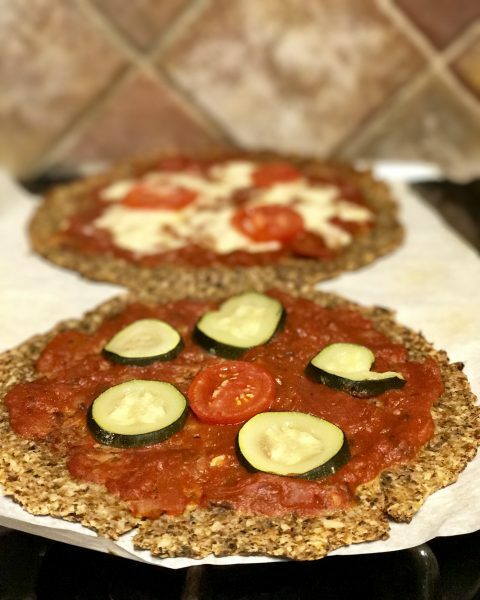 Last month I made a pizza with a whole wheat crust (higher in fiber), tomato sauce, organic light cheese and lots and lots of veggies (including mushrooms, peppers, zucchini). This week I tried out cauliflower crusts. I liked all of their different flavors, and was pleasantly surprised by the tasty crusts (so was my boyfriend and my parents – even my dad who doesn’t loveee “healthier” choices all the time). The low calorie option really filled me up, and combined with my mom’s delicious homemade red sauce and a few veggies I didn’t feel like I overindulged to get a hearty meal. Don’t get me wrong. I’m going to New York soon and I’m definitely going to be indulging in some real NYC old-fashioned pizza. Just don’t forget – there are other options out there. Do you love pizza? If so, what’s your favorite? Send me a comment below! 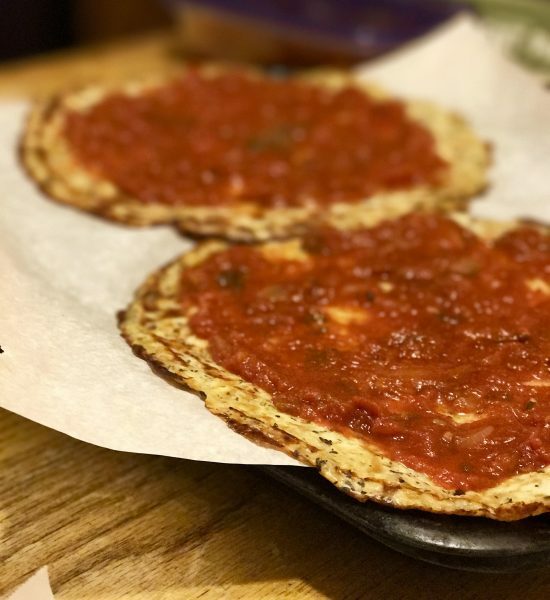 Cauliflower, plant-based, vegan pizza crust.